I love irises. They come in many stunning colors (purple, blue, white, and yellow), and I enjoy watching them bloom every spring. When I see them coming into bloom I know that spring is really here to stay, and not just teasing us like when the daffodils start blooming. If you have grown irises for any length of time, then you know that they tend to become overgrown very quickly. The bulbs start multiplying, and before you know it you have irises all over the place, and they are trying to grow over the top of each other. When your iris bed starts becoming really overgrown, it is a good idea to dig up the bulbs and separate them, and either share the bulbs with a friend or move some of them to another part of your yard. 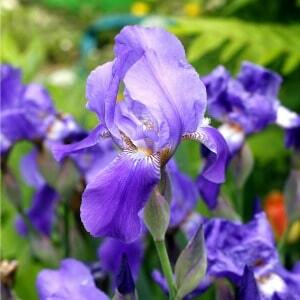 Irises are very hardy and can be transplanted almost any time. When I have moved, I have even transplanted them when they were in full bloom, and they still survived. I have moved several times in the past 10 years, and I have moved many irises with me along the way. You will probably need a good shovel to dig up your iris bulbs. Iris bulbs can become quite thick and gnarly. A small hand trowel may not be strong enough to do the job. When you dig up your iris bulbs, don’t worry about getting all of the roots, iris bulb roots tend to get all tangled up with one another so you won’t be able to avoid breaking some of them. Even a small section of root has a really good chance of re-growing after transplanting. Just dig them out the best you can. After you dig up the bulbs, find a place to plant the bulbs you have dug up. Irises are very hardy flowers that will grow in sun or shade, and although they prefer lots of water they can still thrive in low water conditions in times of drought or extreme heat. Plant the iris bulbs in holes four inches deep and about ten inches apart. Water the area well after planting. 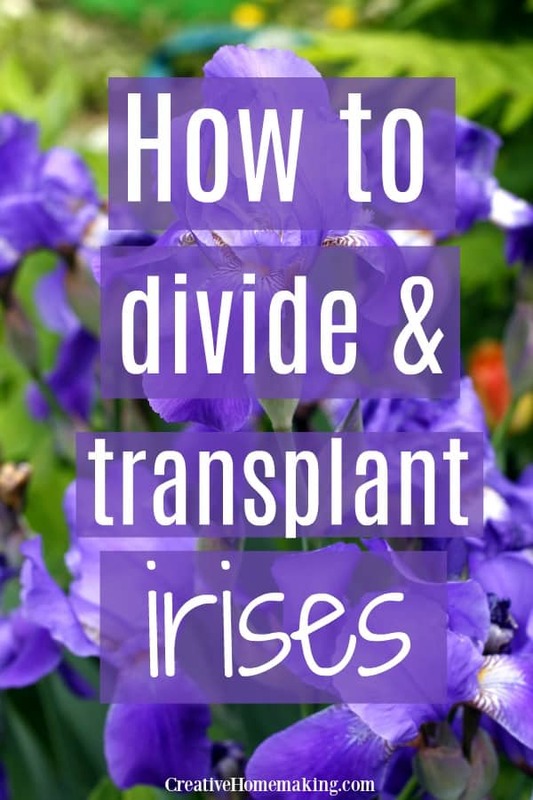 If you are looking for an easy flower to grow to create a border along your house or need to fill up a flower bed quickly, then irises may be a flower to consider. They are beautiful cut flowers to bring in the house and decorate your house for spring.